Challah (Egg Bread), Kaiser Rolls, Pizza, Cinnamon Rolls & Cream Cheese Frosting, Monkey Bread Cheddar Cheese Biscuits Ginger Scones & Ginger Butter, Fruit Muffins & Honey Butter and Jalapeno Cornbread. For lunch we made BBQ Pork Tenderloin and used the Biscuits to make Pork Sliders. The sliders were served along with a salad. 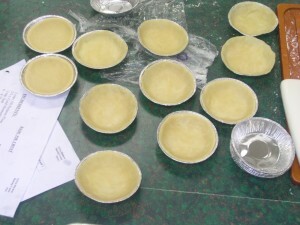 The bread that was not eaten in class was divided into ‘take-home’ boxes for the student participants. Day Two – Cookies which included: Bar Cookies, Drop Cookies, and a miscellaneous variety which included Black and White Cookies (a delicatessen favorite), Mexican Sugar cookies (also known as Mexican Wedding Cookies), Ginger Snaps, Graham Crackers and Rugelach. Included with the Bar Cookies were Brownies and Lemon Bars. 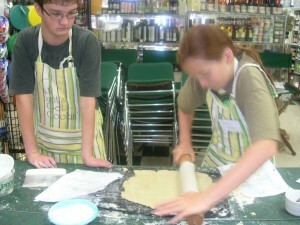 The Drop Cookies included Chocolate Chip, Peanut Butter and Oatmeal Cookies as well as Lemon Meringues. Lunch was a salad and pizza that never made it to the oven on bread day. 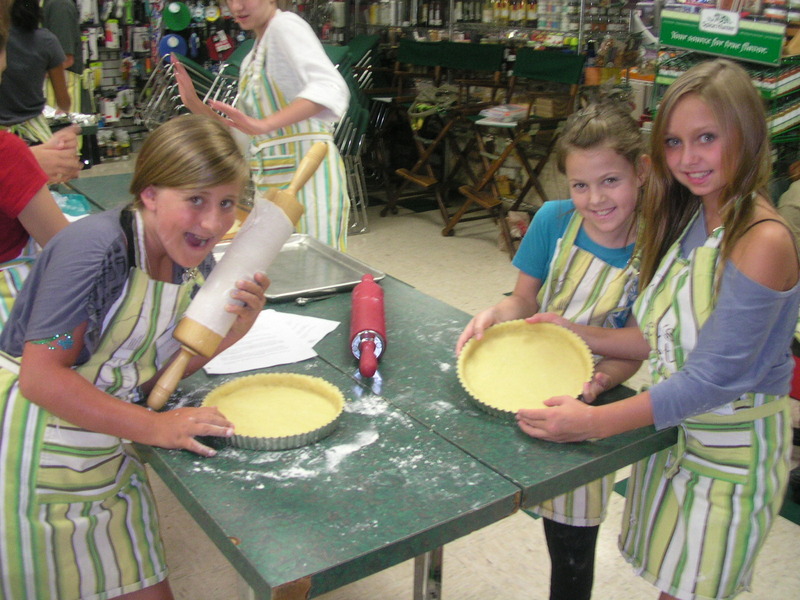 Day Three – Pastries which included: a variety of Pie Crusts, Pie Fillings, Cobblers and Fruit Turnovers. 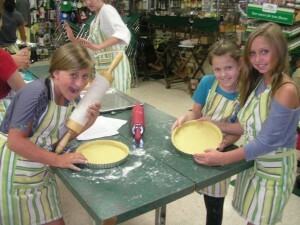 The students also learned to make a variety of pie toppings which included Meringues and Whipped Cream. Day Four – Cakes – which included Classic White Cake, Sponge Cakes including Angel Food, Chocolate Lava Cake, Upside Down Cakes, and Cake for Decorating. Frostings included Chocolate Fudge Frosting and Whipped Cream. 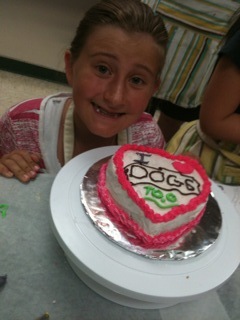 The students broke up into groups of 4 and each group made 6 inch cakes for each student to decorate the next day. In addition, they made two other cakes which were one of the ones mentioned above. The Angel Food Cake was split and filled with Whipped Cream and Strawberries and the Upside Down Cake was Peach. 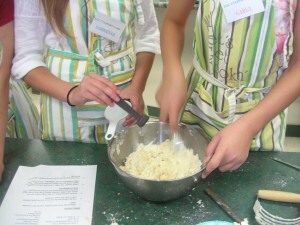 Each student had their own individual Chocolate Lava Cake and the Fudge Frosting was put on the Classic White Cake. 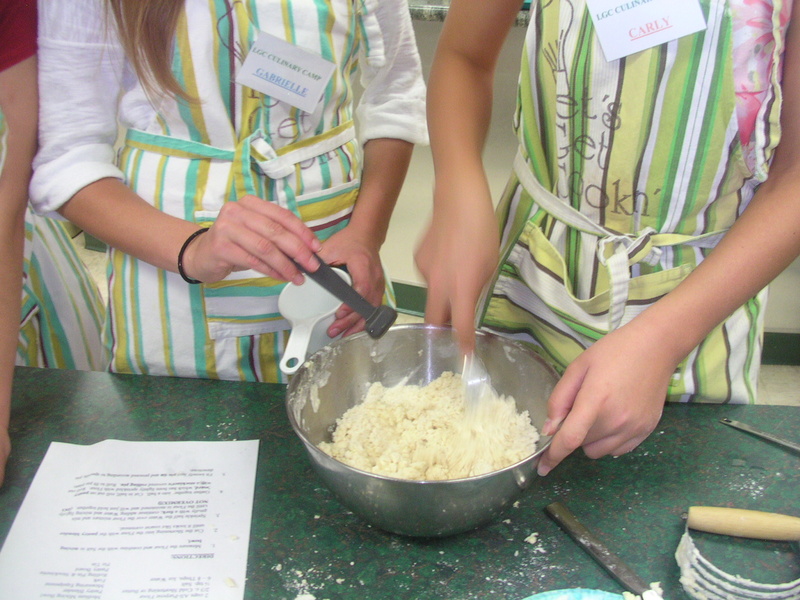 The students also made several batches of Butter Cream Frosting to use for decorating on the last day. Day Five – Cake Decorating – the students learned how to crumb coat and to finish coat. 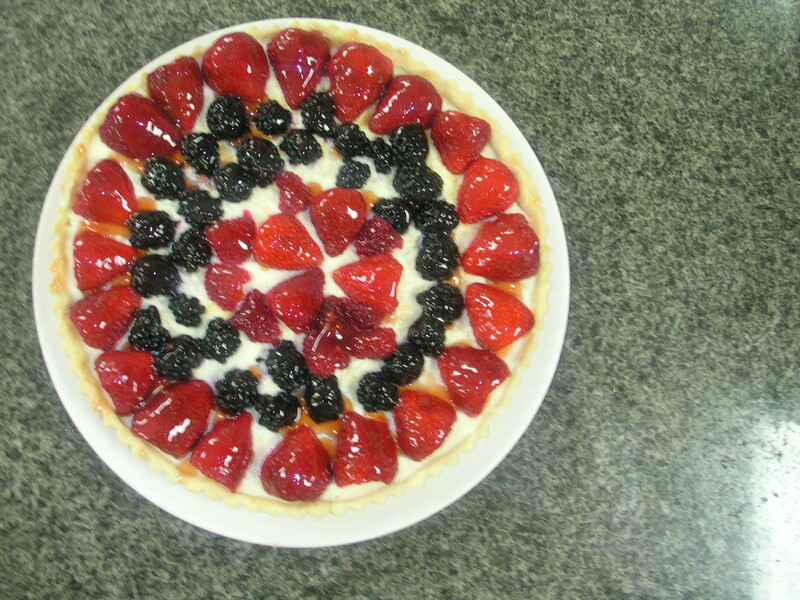 Different decorating techniques were also taught. Each student made their own cake and was given a box to take it home in. 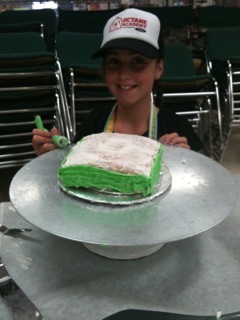 Several of the Students brought a full-size cake from home to decorate. All in all, all the students enjoyed the camp and some let us know that they were practicing some of what they learned at home.